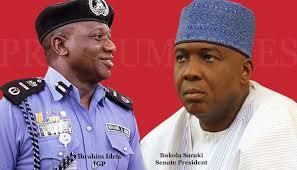 IGP kicks against Senate confirmation in Police Act Amendment Bill – Royal Times of Nigeria. 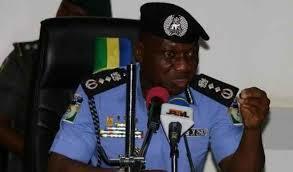 Inspector-General of Police (IGP), Ibrahim Idris, has disagreed with the plan of the Senate to adopt a Bill to make it mandatory for the upper chamber to screen and confirm the appointment of prospective IGP. The police boss also kicked against sections of the proposed Bill which empower the Senate to remove the IGP from office whenever the upper chamber considered it necessary. The IGP spoke at a public hearing on “A Bill for an Act to repeal the Police Act CAP P19 Law of the Federation of Nigeria, 2004 and enact the Police Act, 2018” organized by the Senate Committee on Police Affairs today. Idris was emphatic that the Police Act must not be amended in such a way to politicize the Nigeria Police Force. The Senate Committee also proposed the pruning down of the number of Deputy-Inspector of Police (DIG) from seven to one. On the pruning down the number of DIGs, Idris said that there was no doubt that such amendment would increase the work load of the IGP. Observers said that the Senate should rather find ways and means to make the duties of the IGP less cumbersome for effectiveness.